Podcast recording equipment can be confusing to wade through and choose if you’re just starting out. 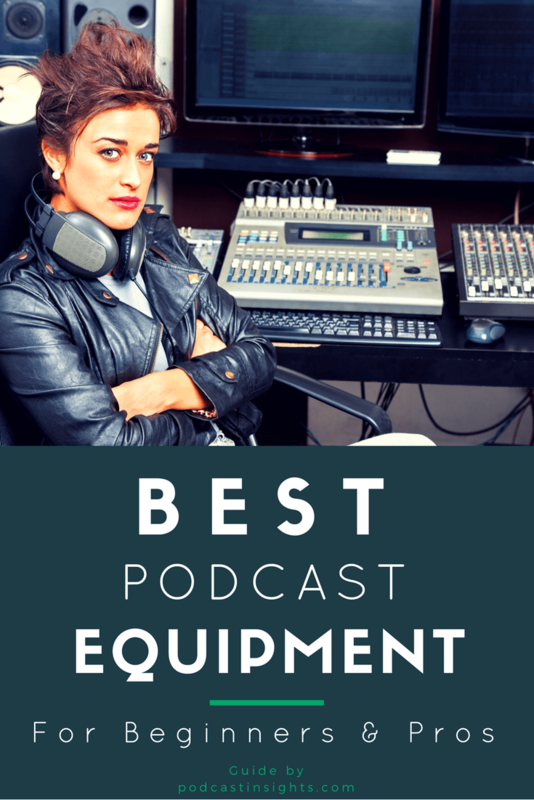 There is a lot of podcast gear you can get but that doesn’t mean you need to get it all – and you can always expand your list of podcast equipment over time. We are going to highlight the audio recording equipment you will need, as well as some things you may want to get later as you get more serious to really build out a complete podcast studio. There are separate posts about many of these individual items, so feel free to check out those posts for more in-depth info (there will be a link in the respective sections). …they are the first two items listed below. If you have multiple people recording together, you will want to avoid USB mics, which means you’ll also need an audio interface or mixer to hook up multiple XLR microphones. Also, take a look at the podcasting starter kit for more specific equipment recommendations depending on the number of hosts you have. There are lower-budget options for beginners, along with upgrades for intermediate and pro levels. Common sense right? You need a computer to record and upload your .mp3 files. Most people will do just fine with what they have, but if you looking to upgrade I would invest in something that will last you a few years. Check out the podcasting laptop suggestions here. Find the best all-in-one or tower desktop computer here. Don’t use your computer’s built-in microphone. The easiest way to get started is to use a USB microphone. If you have multiple people or you want more flexibility, you will need one or more microphones with an XLR output. Also consider your recording environment and the type of mic you’ll want: dynamic or condenser (dynamic mics are typically better when recording multiple people together). This is basically the bridge between your microphone and your computer. It converts the analog signal from the mic into a digital signal that the computer can use. Here are the best USB interfaces. Similar the audio interface above, but a mixer gives you more control over levels, inputs, outputs, and more. Also crucial if you plan to regularly have call-in guests so you get set up a mix-minus line for your remote guests. Find the best podcasting mixers here. A pop filter or windscreen will greatly minimize or prevent plosives. Put your hand in front of your mouth and say “power” – feel the air on the “p”? That’s what you’re protecting the mic from – those air blasts can easily send a mic into the red. See our pop filter recommendations here. Headphones prevent many mistakes and retakes. It can be weird to hear yourself speaking live at first, but you’ll get used to it. It’s highly recommended you get used to this. You don’t want to record something for an hour only to realize something wasn’t turned on or there was a loud buzz the whole time. 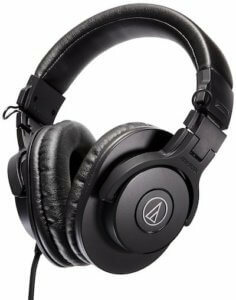 Closed-back headphones are what you want to use for recording, and your earbuds probably aren’t good enough. Avoid open-back headphones for recording because your microphone will pick up the sound. When you have several hosts, you’ll need a headphone amp so that each of you can have your pair of headphones. Think of it as a headphone splitter and amplifier in one. Positioning your microphone properly will greatly improve your posture and sound quality. A decent boom arm or mic stand will allow you to easily move the microphone to a comfortable position – and equally important in my mind, you’ll be able to free up desk space and store the mic within reach, but out the way when you’re not using it. Here are some recommended microphone boom arms & tabletop mic stands. Microphones are especially sensitive to any sound that doesn’t have to travel through the air. A shock mount will prevent or minimize unwanted sounds from tapping the desk to typing to moving your boom arm to small vibrations that you might not even notice. 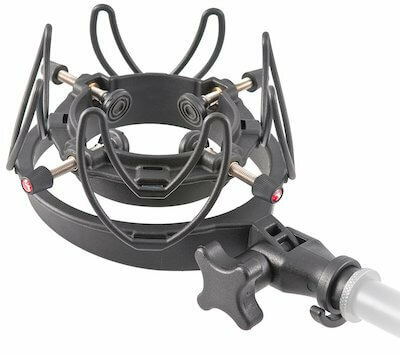 Most microphone makers also offer a compatible shock mount, and some even provide one with the mic. You have to plug your mic into your audio interface, mixer, or preamp somehow. There is actually a lot that goes into XLR microphone cables and cheap ones can cause more problems than they’re worth. I recommend starting with a mid-range XLR cable like the Rapco Horizon. Some rooms are worse than other, but if your recording area has a lot of echo or reverb, a little acoustic treatment can go a long way. Check out some recommended acoustic panels here. For beginners, the podcast editing software I recommend is Audacity or Garageband. They’re both free and relatively easy to use and learn. The next level up is Adobe Audition, and if you already have a Creative Cloud subscription, it’s probably a good idea to just go with that. You need dedicated hosting for your podcast files (I use and recommend Buzzsprout). It’s a common misconception, but iTunes doesn’t host your actual .mp3 files, they just read an RSS feed and allow people to play your files hosted elsewhere. Learn how to upload to iTunes here. You don’t want to put the files on your website host because that can easily make your site come to a crawl, and can cause problems when people try to listen. 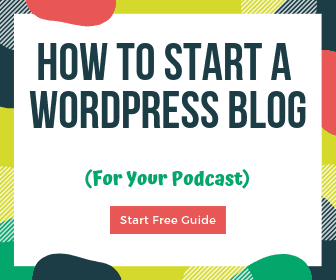 Check out the best podcast hosting companies here. Many podcasts will need a website to give people a place to visit, learn more, or get additional resources. I recommend using a WordPress hosting service. One of the easiest to get started with is Bluehost and they have excellent pricing for new sites. If you’re doing interviews on the road, a portable digital recorder will be your best friend. You can always get started with an external mic for your iPhone, but a dedicated handheld recorder will give you a lot more flexibility (they can even double as a USB interface). 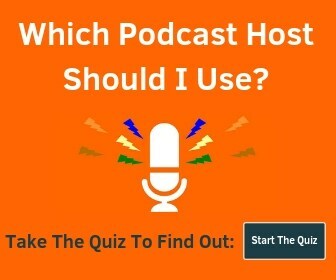 There are a lot of different options depending on the style of podcast you will be doing. If you’re interviewing people, check out these interview microphones. Don’t forget extra storage for your digital recorder! Grab a few of these SanDisk 32GB cards so you don’t run out of space on the road. Be sure to double-check what the max SD card size will work for your recorder (the H4N Pro above allows up to 32GB).